Big Shot Betty is over at Leanne's Blog today doing a guest post while Leanne and her family visit the Giant Rodent at the Happiest Place on Earth. Get on up the virtual stairs and come and see me over at From Chaos Comes Happiness. 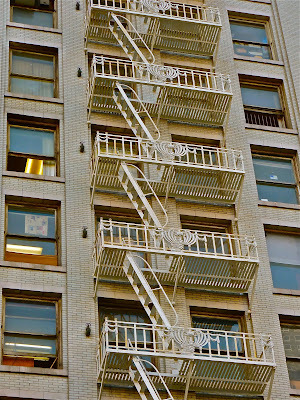 You are sneeking us up the fire escape? Giant rodent.. lol... love it! would it be the happiest place on earth without a giant rodent? when i go there, will YOU be donning a pair of ears?! Hi BB we are own our way over...and just in case there is a giant rodent...Madi has been practicing squealing like a little girl. I'm doing it. I didn't even have to get up, that's a big help. I click on it too. 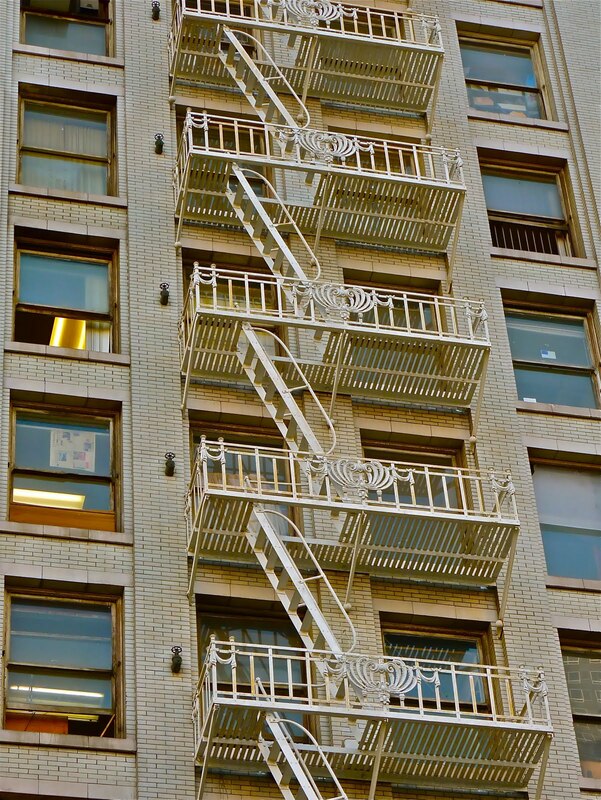 Love the detail on the fire escape. Great detail. *pant pant pant* BB, next time can you at least post an elevator? giant rodent...ya, I had the pleasure of meeting him this summer too. I'm still reeling. I hope the stairs are virtual..
You do all the best guest posts. I went and I am glad I did! What a wonderful post! And I too remember that awful bell that rang at the end of each class session. Oh my!! How I hated the sound but how I loved it's implications!! Class over!!! Bloggers can rarely afford a proofreader so there is no shame in typos. Have you read a newspaper lately? Filled with errors, which have been proofread! The only colon you need worry about belongs to Mable yet she teaches us to enjoy the moment. I'm on my way have the wine and chocolate ready. How do you do it? You give us so much to see and think about. I did the very same thing on a guest post one time, Betty. It killed me, too. Somehow I missed this...too tired to read, but I'm checking out in the morning. I found you via Leanne's blog and commented over there. But I also wanted to comment here so you would know that you are receiving comments there. I am also a new follower. That is the power of the pen! Looking forward to reading more. That's a great post. I hope all parents can read it and see it from the child's eyes. All of those stairs...sheesh!! Can I get a magic carpet next time please?? I know what you mean with the typos. I'm such a perfectionist and it is annoying!! I tried to read this the other day (yesterday? ), but it froze and I took it as a sign I should get some sleep. Now that I've read it, I wish I'd tried harder last time. Good points. Good reminders. Good grief... I'll do better next time. I'm scared of rodents. Would it be okay if I keep my feet off of the ground while I click over there and read your post?